They range from new to old. 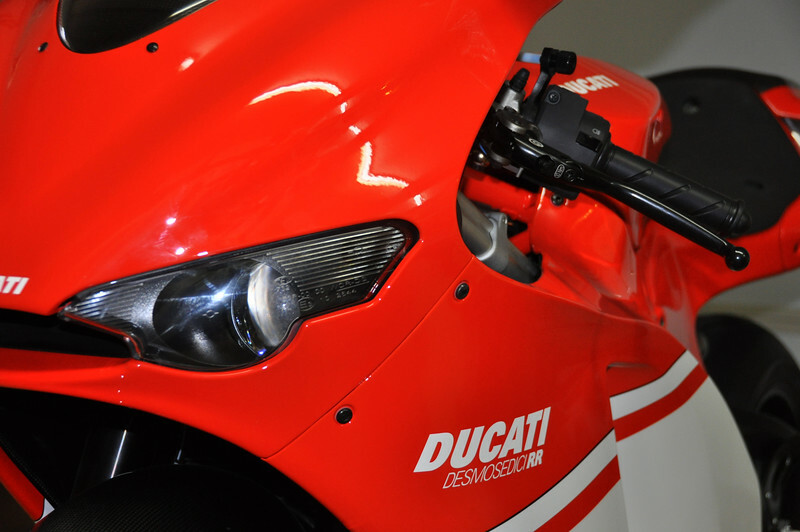 This one is a new Ducati Desmosedici RR, which is a replica of the Ducati Motogp racer. If it's not around when you visit there's a good chance Jim is out riding it!